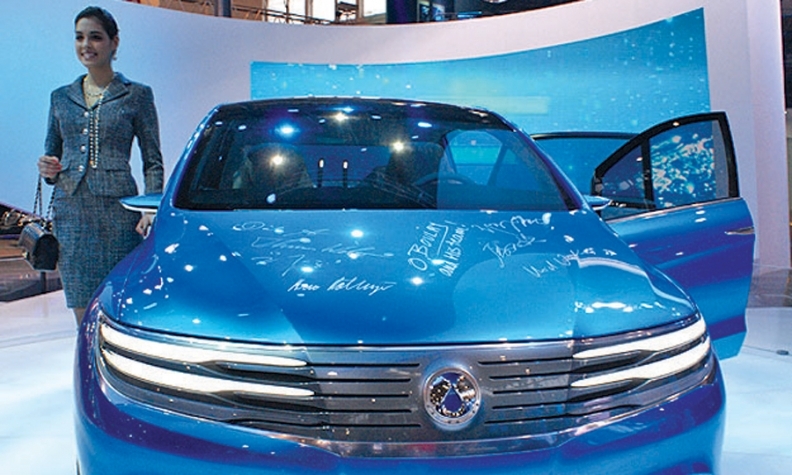 The Denza electric vehicle concept shown in Beijing is one of the first creations of the China design center. BEIJING -- Olivier Boulay has been Mercedes' design guru in Asia for 15 years. First it was in Japan, and now he is among the first wave of western designers carving out a modern look for Chinese vehicles. The Frenchman set up the company's styling studio in Yokohama in the mid-1990s. 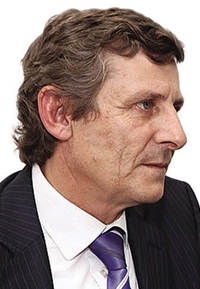 In 2008, global design boss Gorden Wagener sent him to Beijing to establish a Mercedes studio. The Advanced Design Center of China opened in July, and one of the first fruits of its labor was shown at the Beijing auto show. The Denza electric vehicle concept previews a domestic brand Mercedes has formed with the Chinese carmaker BYD. It's not a Mercedes, but Boulay says: "We want something more premium, or at least go in that direction." At the car's international debut at the Beijing show last week, Boulay demonstrated his obsessive ways, well known in Asia's design community. When I walked up to the stand he was telling the model exactly how to seat herself in the back to show off the expansive and comfortable rear compartment. Mercedes and BYD will launch the Denza brand next year. Boulay said the first Denza production car has already been designed by his studio. He says Chinese design is a statement of technology, not about dragons and other ancient visual icons associated with the country. "The interest is not in a cliche," he said. "We go deep. We want to make an intellectual design." Boulay says the studio will eventually employ about 50 people, up from fewer than 20 now. Boulay said of the six designers now on staff three are Chinese. "And they are pretty good," he said. In the early 1990s, Boulay, working as an independent designer, penned the second-generation Subaru Legacy. The car was a big seller and put the Legacy, and Boulay, on the map. Mercedes asked him to create its first Japan studio, but establishing a styling center in the world's largest market may be the pinnacle of his career. Global product development chief Thomas Weber said the new studio will become one of the brand's most important styling centers, far more significant than the Japan studio. At the Beijing design center, Boulay has received some famous visitors courtesy of BYD stakeholder Warren Buffett. For instance, Buffett's billionaire pal Bill Gates popped in last year. "He asked me if we used computers in our design," said Boulay, sounding a little flabbergasted. "'Yes, of course,' I told him but I said we do some drawing to keep the human touch. He said, 'That's cool.' "